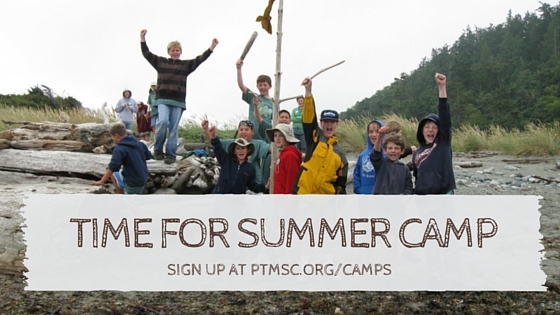 At the Port Townsend Marine Science Center (PTMSC), our summer camps allow burgeoning young scientists and adventurers to spend a week exploring beaches, uncovering treasures hidden in our exhibits, playing games, making crafts, and hiking through beautiful Fort Worden State Park. Our science campers come back year after year and many of our past campers return again as camp counselors. Join us for a wet, sandy, adventurous, fun-filled week! We're looking forward to a great summer season!